Happy hump day!! I hope you are all having a great week so far! It's no secret around here that I love stripes and I'm pretty sure most of you do as well, so I searched and searched to find the cutest (and best priced) stripes out there. I must say, I am thrilled with my findings! 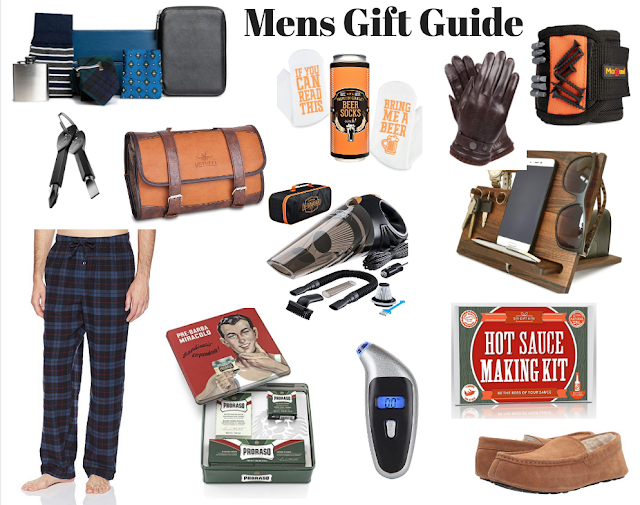 Everything below is under $50, has great reviews, and is still available in most sizes! Omg y'all, does this not look almost identical to the Ted Baker swimsuit that was triple the price?!? I have a few of Jessica Simpson's swimsuits and the quality is outstanding. You can also find the bikini version here and the striped scalloped edge here. 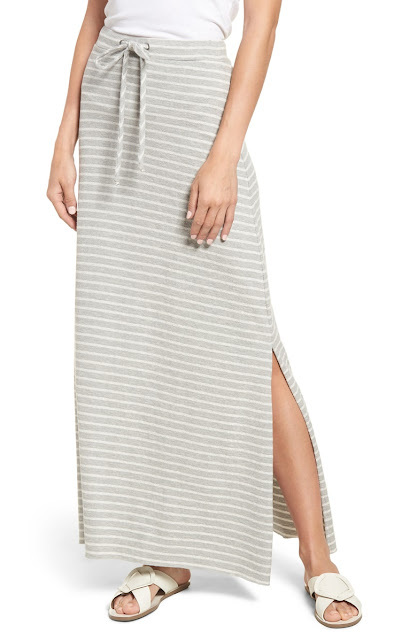 I love a good casual maxi, and added bonus...this one has pockets! How cute are these shorts?! They also come in a navy stripe as well. 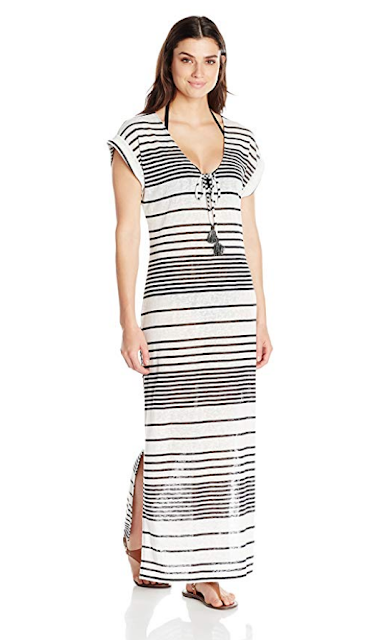 I love the fit of this dress and the mixed monochrome stripes. I cannot get over the fact that this Parker blouse is only $37!?!? 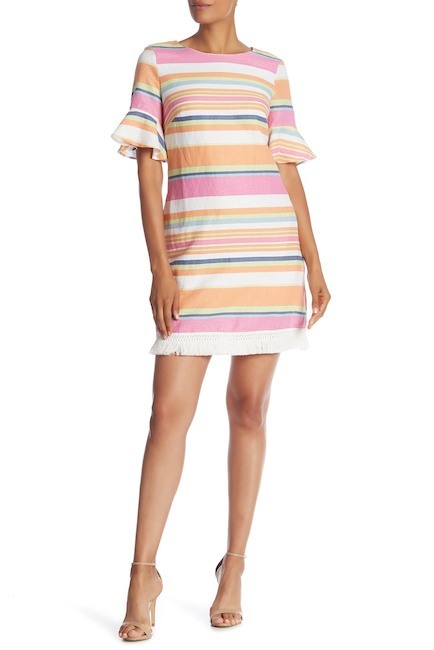 These are part of the Nordstrom Anniversary Sale and y'all know how much I love this brand. 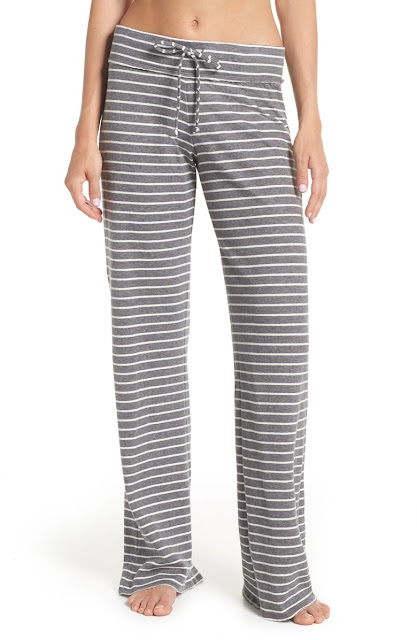 I would snag these now if you're looking for some comfy lounge pants! 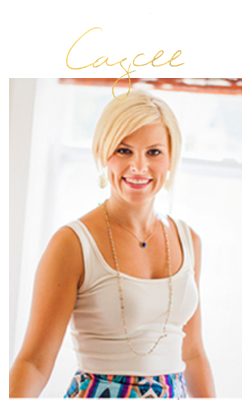 This reminds me of the Lululemon "not your typical tank", but the price is SO much cheaper! 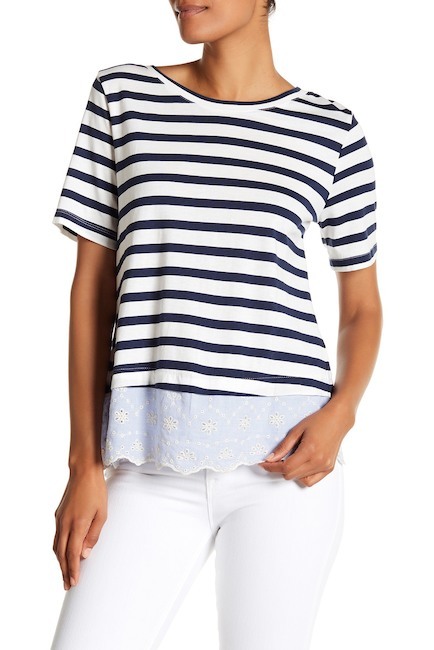 I love the contrast of the stripes and the eyelet. This top would look so cute with white shorts and tan sandals. Love the v-neck and the tie waist, plus, the reviews are all fives on this one! 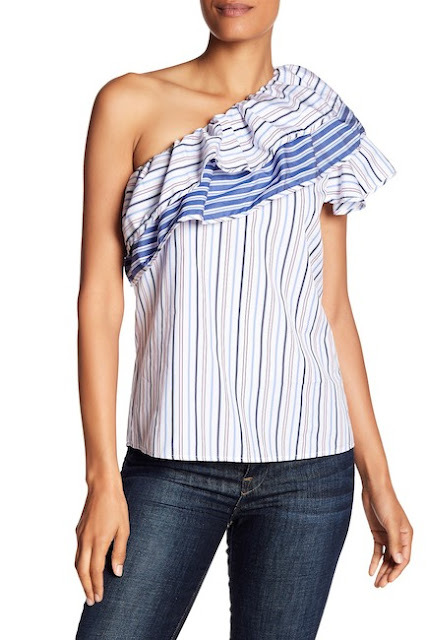 This would be perfect to toss on with a white tank (like this one), or as a cover-up at the beach and pool. This looks so comfy and also perfect to toss on during a hot summer day! The colors, ruffle sleeves, and that fringe hem...swoon. 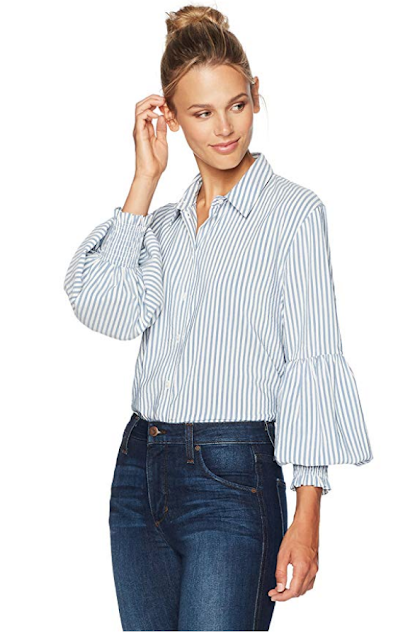 The sleeves are amazing on this shirt and you could wear it with almost any shorts, jeans, or pants! 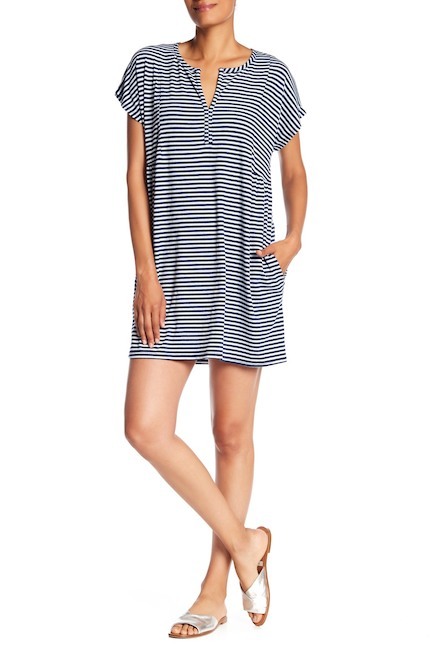 I can't believe this adorable dress is only $21, plus, the reviews are stellar! How fun is this jumpsuit!?! I love that it gives you a waist and that it's lined from the waist down. 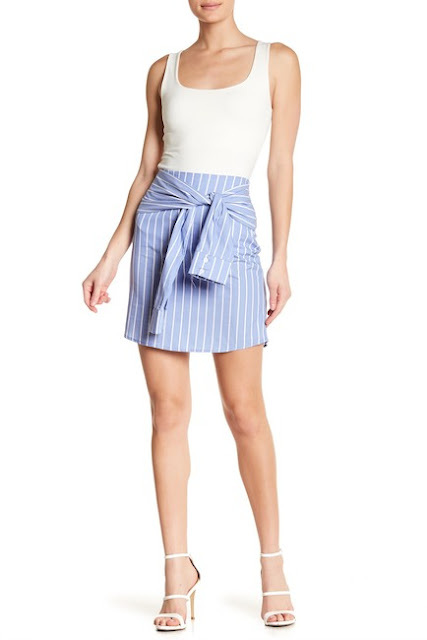 A skirt with a shirt tie waist...this is too cute! 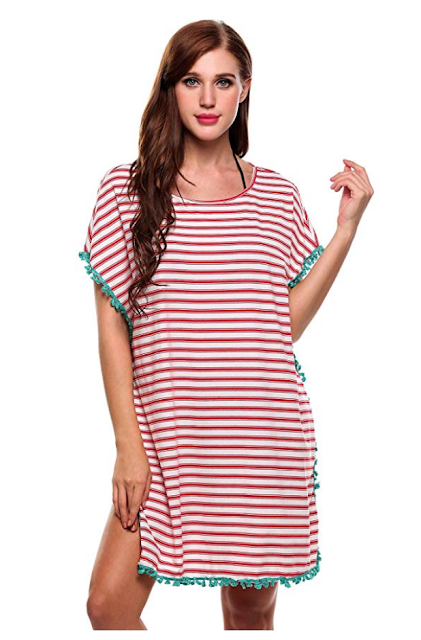 I love the fun pop of teal mixed with these red stripes. It also comes in black and navy as well. 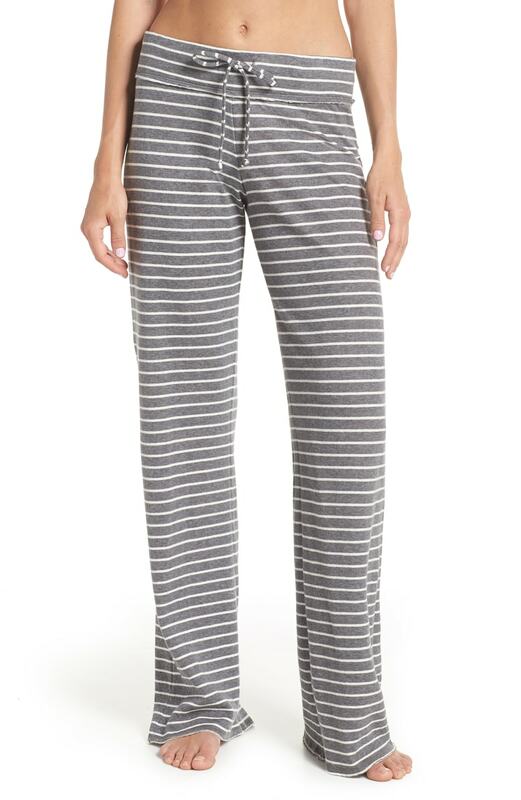 These pants are calling my name. I also think you could rock them into the fall with a navy tee or blouse. This brand is awesome...they make some of the most affordable, yet great quality pieces! 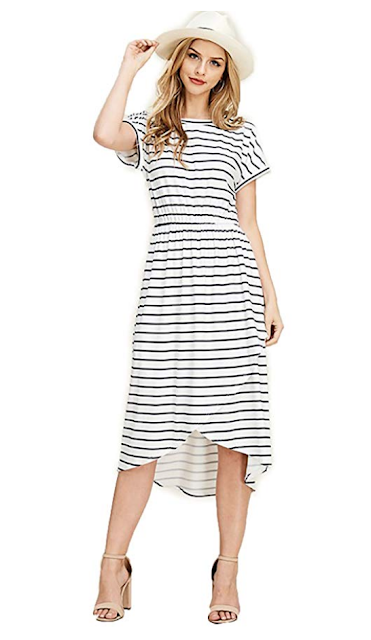 Another adorable toss on dress and this one comes in 45 different colors and patterns! Okay, where was this cute set when I had Carson and Taylor!? This would make such a great gift for any new mama! This is the brand of pajamas y'all have heard me raving over lately, and this cute set is only $23 right now! Okay, I am obsessed with this swimsuit! And I love that you can take the straps off so you don't have to worry about tan lines. Doesn't this set look so comfy? 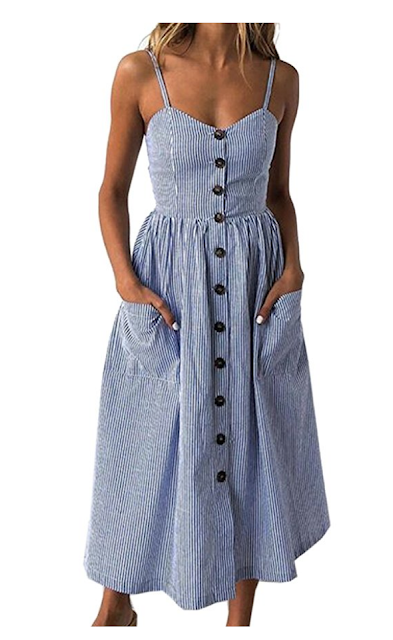 It's only $32 and it comes in seven different colors!